Dr. Kevin Purgiel received his medical degree from the College of Osteopathic Medicine at East Lansing, Michigan. His internship and surgical residency were completed at Metro Health/Michigan State University COGMET in Grand Rapids, Michigan. Dr. Purgiel relocated to Sparta to form Highlands Surgical Associates in February 2012 after practicing two years with The Physician Associates of Cookeville Regional and three years in private practice in Michigan. 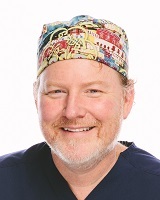 He is a full-time surgeon affiliated with Highlands Medical Center. He is board-certified by the American Osteopathic Board of Surgeons and is a member of the Society of American Gastrointestinal and Endoscopic Surgeons (SAGES).